Based on new footage from Warner Bros. all female-led "Ocean's" spin-off, audiences can go in expecting a pleasure-filled romp featuring characters so on #brand we have no choice but to believe they’re capable of stealing a single piece of jewelry worth $150 million dollars! The spin-off to Steven Soderbergh’s comedic heist trilogy comes 11 years since we last saw the elder Ocean (George Clooney) put the brakes on Willie Bank’s (Al Pacino) quest for his Five Diamond rating. Now with Danny presumably dead, his estranged younger sister Debbie (Bullock) assumes the 'Ocean family mantle' in an elaborate heist that took "5 years, 8 months, and 12 days" to conceive. And according to Debbie, her crew has three and a half weeks to plan the finer details of a heist that will yield each member $16.5 million dollars! For those keeping tabs at home, that's only $10 million less than Danny's haul from Terry Benedict's Bellagio. 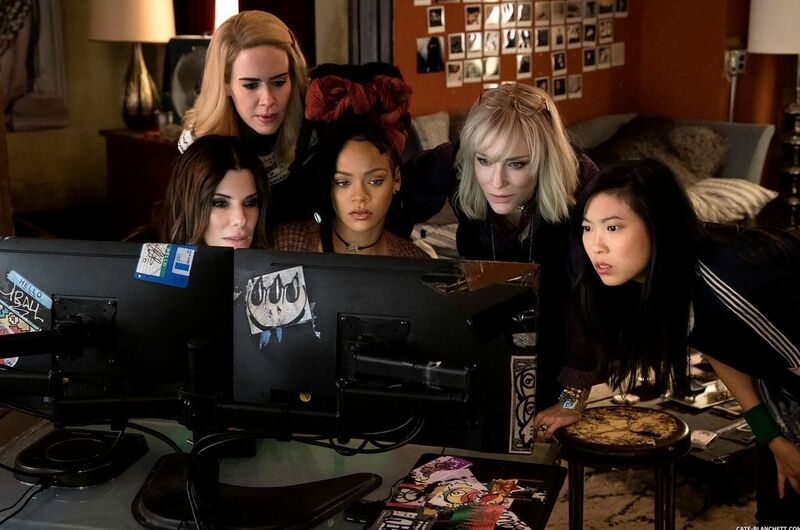 Head on over to Ocean's 8 official Twitter to catch newly released profiles of Debbie's team, including her bff Lou (Cate Blanchett), Daphne (Anne Hathaway), Rose (Helena Bonham Carter), Nine Ball (Rihanna), Tammy (Sarah Paulson), Amita (Mindy Kaling), and Constance (Awkwafina)! 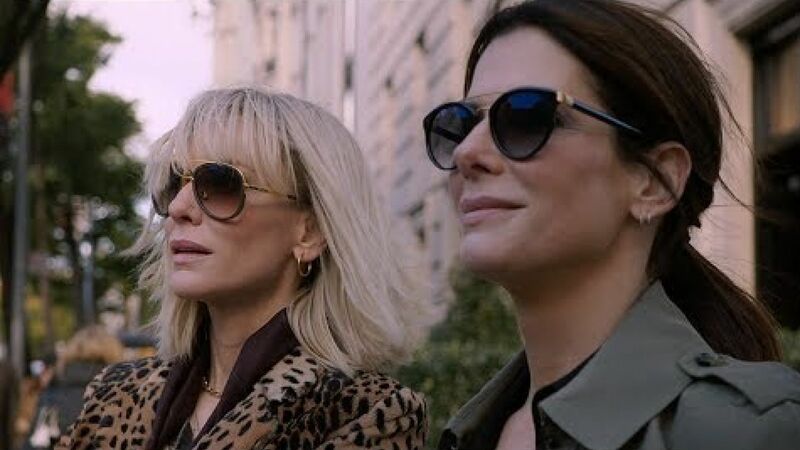 Ocean's 8 hits theaters June 8 and is directed by Academy Award-nominated Gary Ross (Seabiscuit) and produced by George Clooney and Steven Soderbergh.